Cataract Steel is very pleased to introduce Travis Conrad as the newest member of the Cataract Steel team. Travis comes to Cataract Steel from an ASME Code pressure vessel manufacturer where he spent 7 years as a Manufacturing Engineer II / ASME. Travis is working on his BS in Industrial Engineering and should be completed in the Summer of 2013. Cataract Steel is very pleased to introduce Jim Willett as the newest member of the Cataract Steel team. Jim comes to Cataract Steel from a Shell & Tube manufacturer where he spent 16 years as the Sales Manager of Engineered Products and 7 years as their Engineering Manager. Jim is also the former Chairman of TEMA’s Technical Committee. Jim has a Bachelor’s Degree, Marine Engineering with a Minor in Nuclear Engineering. 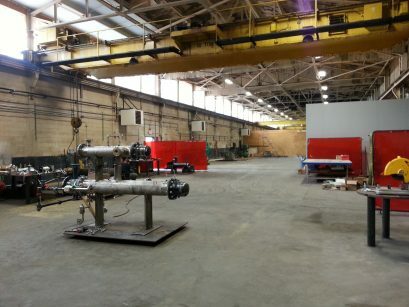 Cataract Steel Industries, Inc. has received notification of approval of its China Special Equipment Inspection and Research Center (CSEI) Pressure Vessel Certification, which allows the Company to continue exporting pressure vessels into China. Cataract Steel is a worldwide leader in the design and manufacture of heat-exchange equipment across a host of industrial sectors. Cataract Steel Industries, Inc. has received notification of approval of its South Korea (MKE) Pressure Vessel Certification, which allows the Company to export pressure vessels into South Korea. Cataract Steel is a worldwide leader in the design and manufacture of heat-exchange equipment across a host of industrial sectors. Cataract Steel Industries, Inc., a leader in heat-transfer engineering, design and manufacturing, has launched a product service offering that will help ensure peak efficiency and longer life for their customers’ heat-transfer equipment.